Gosh, evolving is hard work, people. Doing huge and life changing stuff every week certainly isn't feasible for someone like me whose life consists of waking up in the morning, working all day, and then coming home to either crash on the sofa or do design related work. But even small things matter, right? Even tiny things as a new deodorant. 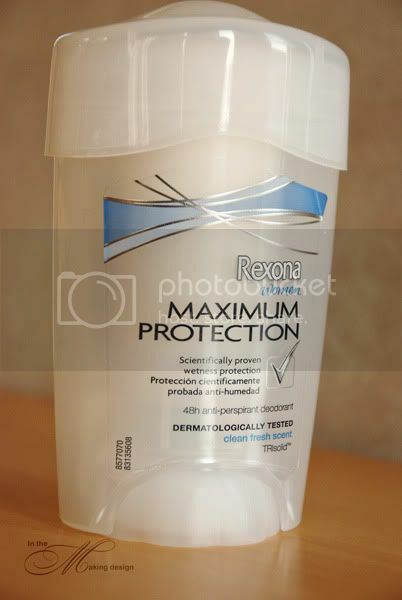 I have very sensitive skin which can be a problem with some heavily perfumed brands but I still need the coverage of a heavy duty deodorant with a hectic job. So this has forced me to try a whole bunch of different kinds. This week I picked up a new one. So far so good. And that is it for this week from the exciting world that is my life! Hee!